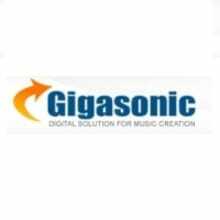 Gigasonic has been selling music equipment since 2000. A Top Seller on eBay, we also have stores on Amazon, NewEgg and now proud to be joining the Reverb family. In addition to be an authorized dealer for all of our products, we offer low prices, fast shipping and great customer service. We ship worldwide. Shipping rates vary from item to item. Most items over $100 will ship free to lower 48 US states. If for any reason you are not completely satisfied with any item, return it within 30 days of the purchase date for a refund! Returned items must be in resalable condition. Resalable Condition means that the product(s) is exactly in the same condition as you received it. All exchanges must be pre-paid, returned in original packing, complete with blank warranty cards, owner’s manual and show no sign of wear or abuse, including the packaging box. You will be subject to a 20% restocking fee plus 5% ebay fees. Shipping and handling charges are non-refundable. If free shipping is offered to the product, additional 5% of the total price will be charged to cover domestic shipping cost and addditonal 15% will be charged to cover international shipping cost. Please contact us before returning any items. No returns past 30 days. CDs, DVDs, video tapes, sheet music, books, strings, computer hardware/software, drum heads, harmonicas, mouthpieces, sound cards, microphones, raw speakers, studio furniture, blank CDs/Tapes or Special Orders are not covered by this return policy.